Calling this a demo might be a bit optimistic, since I don’t seem to have as many pictures lying around in iPhoto as I remember taking, but what the heck? ;) (Frankly, it just feels good to take a minute and write again. Who needs content?) 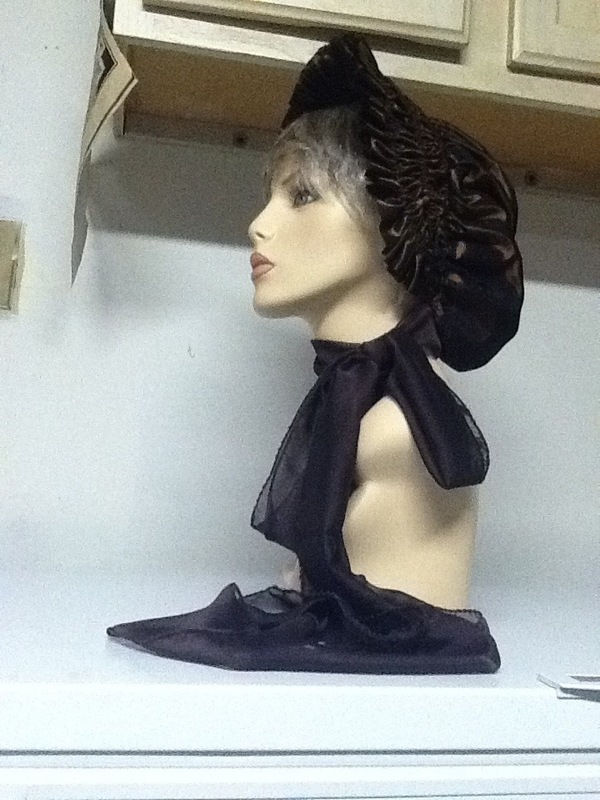 Anyhoo… This is a fast and easy way to make a decently regency looking bonnet, a la Elizabeth Bennet in Pride and Prejudice. So, I was told that the WHOLE ENTIRE POINT of Haley’s dress was THE bonnet. 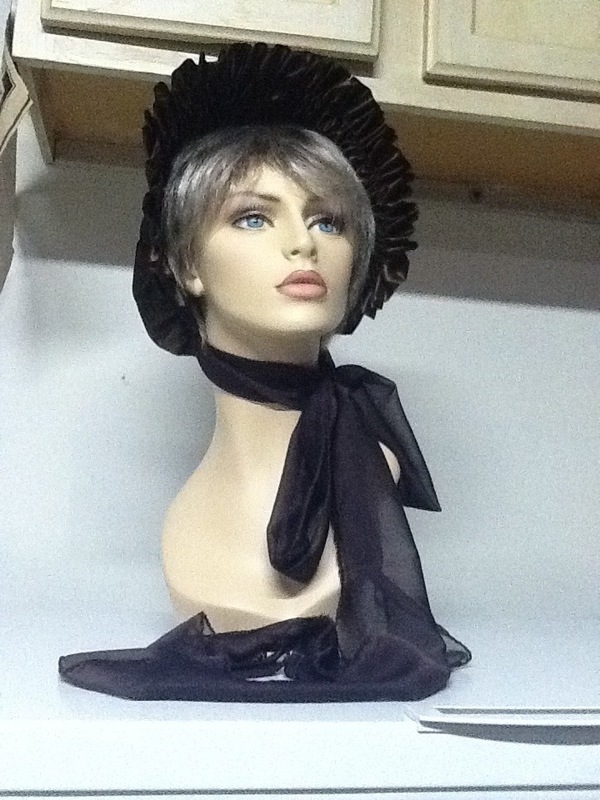 Not just any old bonnet, but THE absolute-perfect-must-have bonnet. Ok. That’s cool. There was conjecture about how the bonnet was made and what it was made from. THE bonnet was important enough that my client, ever organized and ever aware that that I do live under a rock, mailed me the DVDs to make sure I would watch the right version and get the right bonnet. Depending on your fabric, this will take 1-2 hours. 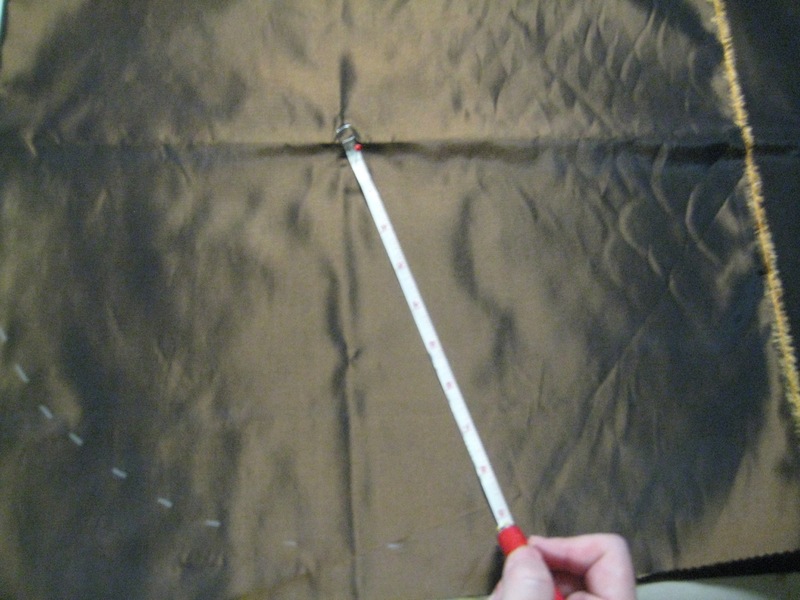 Fabric: about a yard at 45″ – you’ll want a woven with a decent body but not too much bulk. I used taffeta. Some sort of festive tie-sy action. I used strips of chiffon. You will also need to cut a strip of fabric to form the brim. It should be 7″ (for a 3″ finished brim) by about 45″. Press all the pieces thoroughly. 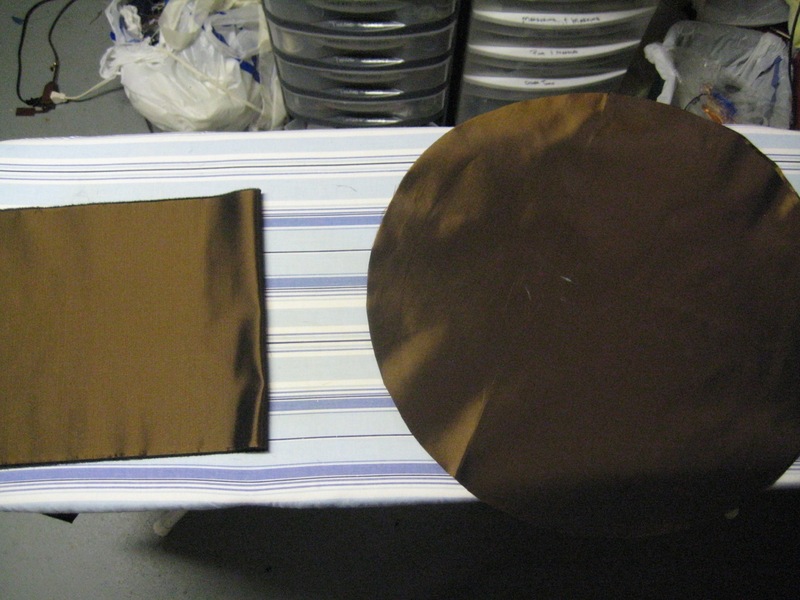 This is very important if you've decided to use a high-sheen fabric like taffeta. Silly missa! Sew the two bag circles, right sides together, leaving 2-3″ for turning. Notch, turn, finish, etc, so you have a fully finished circle. Sew lines of gathering stitches around the edge – I used 3, I believe, beginning 1/4″ from the edge of the circle and spaced 1/8″ apart. Gather this down to about a 20″ circle. 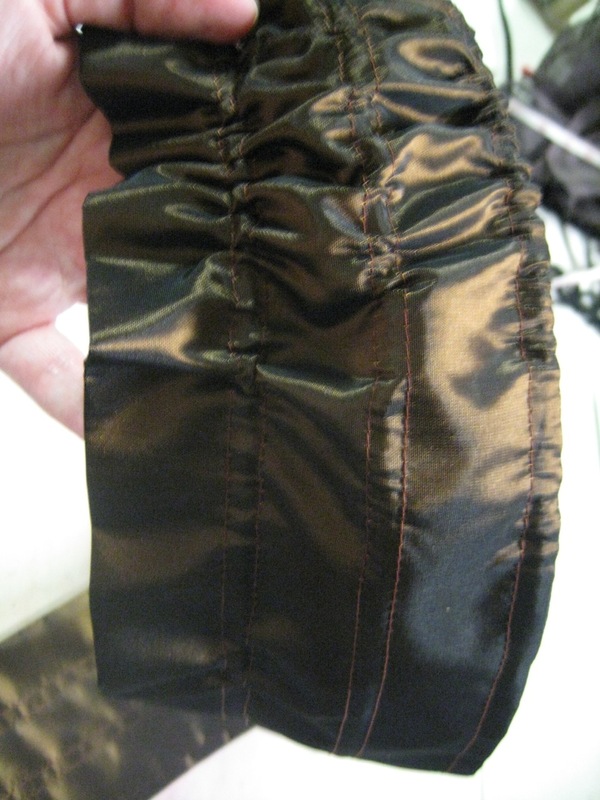 Fold the band in half long ways, right sides together, and sew. You now have an obnoxiously long tube to turn. Turn. Press so that the seam is on one edge. Press the short ends in, but do not sew them shut. You'll need to sew channels for the brim wire - one right at the edge, one at 1" in, and the last at 2" in. These are 1/4" wide. 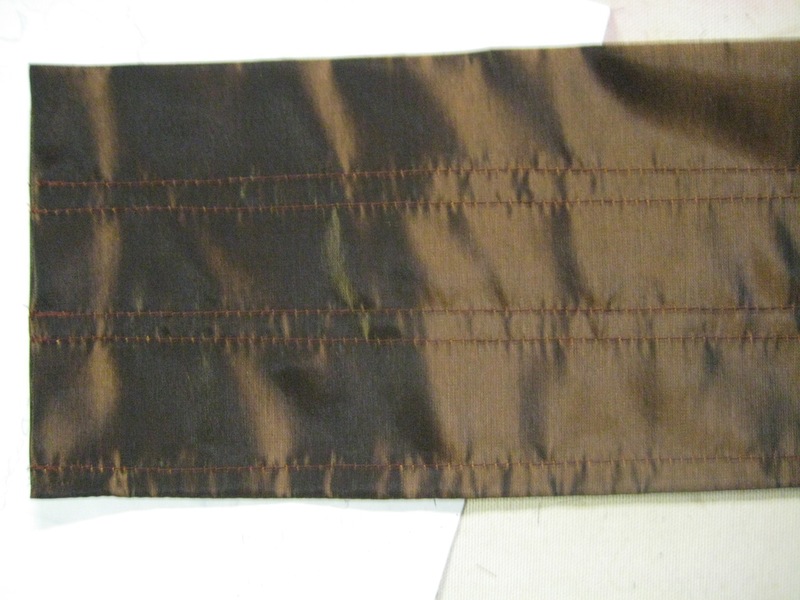 To hide the seam, I am using the sewn edge of the brim as the inner edge. Cut three lengths of millinery wire, about 24″ each. (You’ll end up trimming them down later.) I like to make a hook in one end of each, so that I can hook it around the edge of the the channel and not lose the wire inside the channel, but that’s just me. Start threading the wires through the channels you made on the brim. You'll need to work all three at once. When you have all the fabric onto the wires, the real fun begins. Make hooks on the second end of each wire, so they will hold on to the fabric for you. Even out the gathered fabric as best as possible. Now you’re ready to shape the brim. Once you have a flat brim, pop the wires (with their loops) back into the channels. Sew the edge shut, taking care to catch the wire loops so that the gathers can’t go anywhere. Attach the brim to the bag with small hand stitches. You should have 2-3″ of bag that is not attached to the brim – this is the nape of the neck. Add your festive tie-sies to the bonnet at the nape area. The front of the bonnet, seen from slightly below. Oddly enough, that tie-sy action is brown chiffon. My camera decided that blue would look better, apparently. The bonnet from the side - you can see how the wires curve to form the bottom edges of the brim. Next Hat Tricks: the Fastest Pillbox Base in the West! Pretty! I need to make one of these, and this is IMMENSELY helpful. :) Glad it helped, Gorgeous!